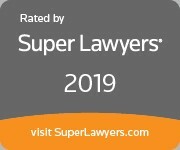 Super Lawyers selects attorneys using a patented ( naturally I looked it up!) multiphase selection process. Peer nominations and evaluations are combined with independent research. Each candidate is evaluated on 12 indicators of peer recognition and professional achievement. Selections are made on an annual, state-by-state basis. I launched this law firm in 2011, having been away from the profession for a long time. It had been years since I passed the “patent bar.” I could certainly write a patent application, but had no clue how to run a law firm. They don’t teach you that in law school LOL. I lost touch with nearly all my contacts in the legal community, so it was back to square one. What is a networking group? You mean I have to stand up and introduce myself to a group of strangers? In 30 seconds? The local Chamber of Commerce was a great starting point. It got me comfortable tooting my own horn. I invested in a website, business cards, a P.O. Box and malpractice insurance. In those early days, I did not even have an office. One introduction led to another, which led to yet others, and continues today. North Shore LAW invited me to join, then the Exclusive Professional Women’s Networking Group. I discovered virtual offices. Word of mouth spread, and the phone began to ring. My first patent client hired me three months later. I was in business! I am grateful for my family, who believed in me, and especially for my husband for giving me his W. Thank you to my clients for their trust. This may be my own law firm, but it is nothing without the people who stand behind it. I look forward to many more years!